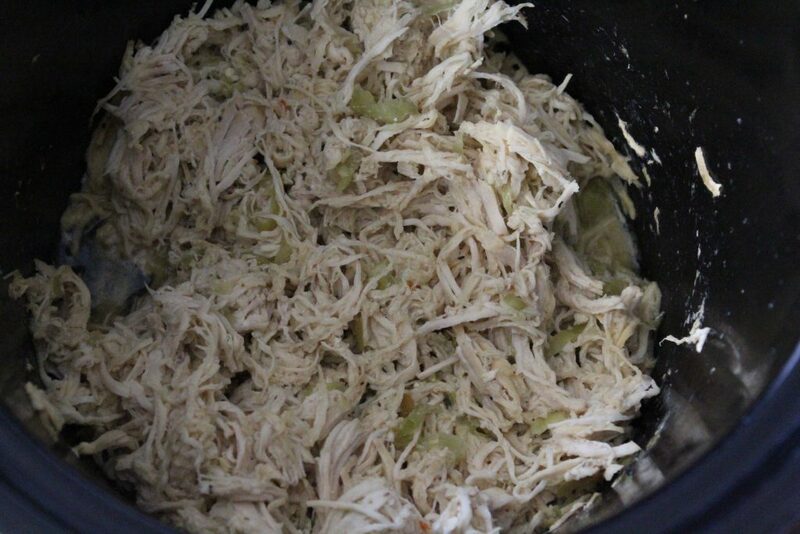 During my last trip to New Jersey, my girl Natalie told me about a simple way she makes pulled chicken in her crockpot. 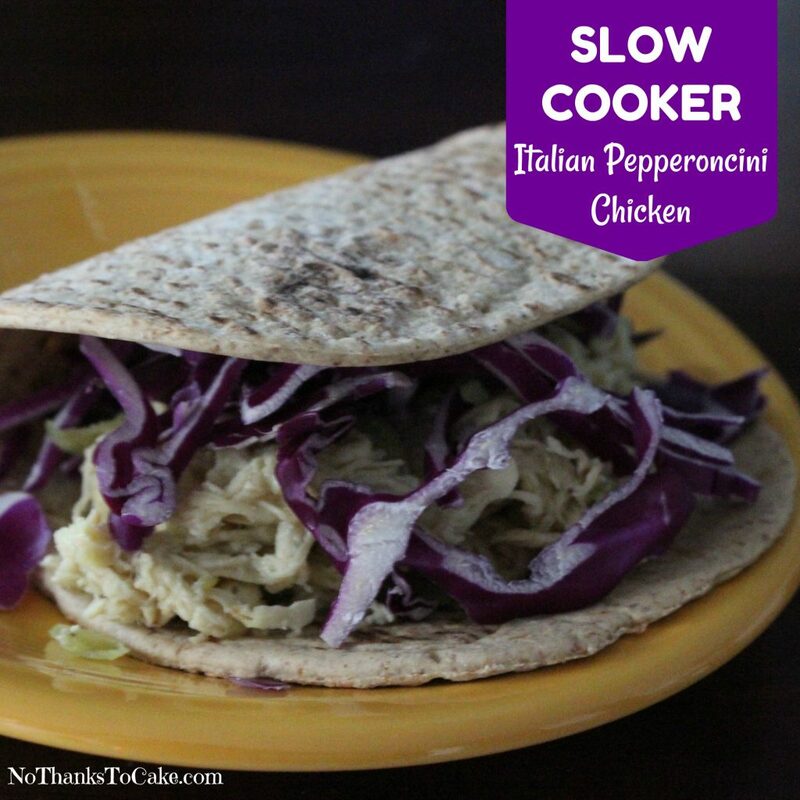 I’m literally firing my crockpot up weekly these days, so I came home and tried her recipe out right away. The result were AMAZING. 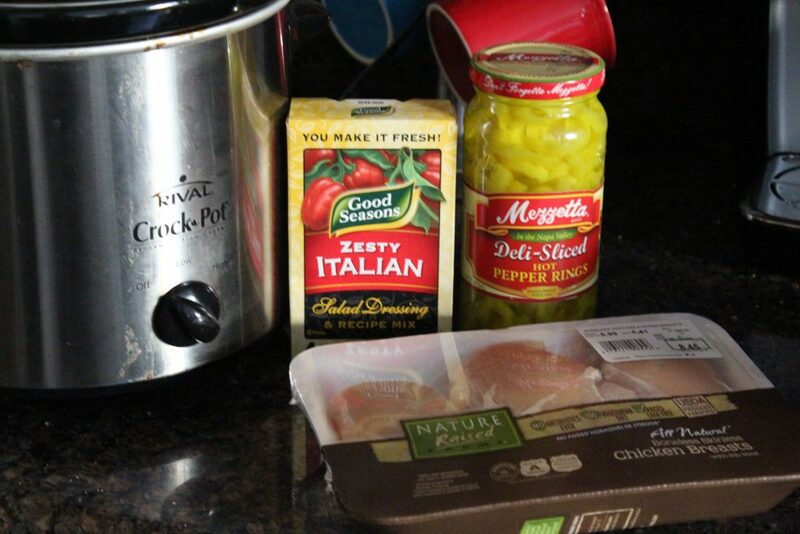 If you like Italian beef sandwiches, you’re going to love this version made with chicken. 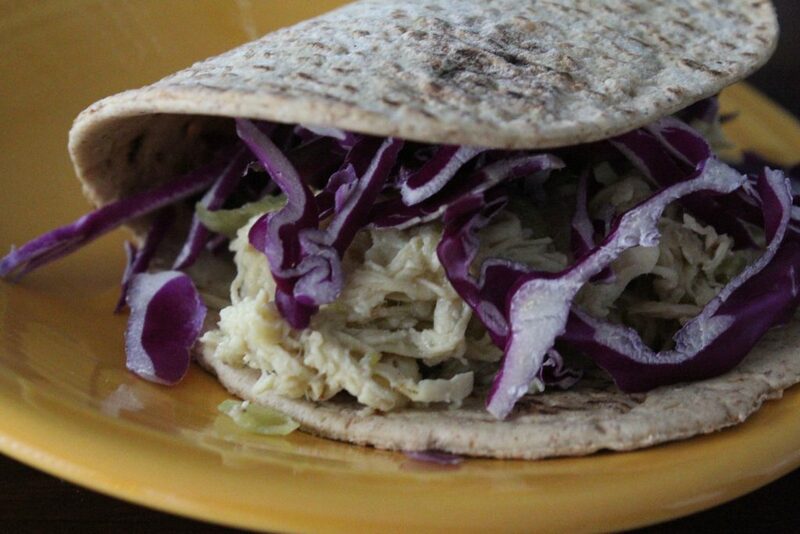 I topped the slow cooked chicken mixture with some crunchy red cabbage and folded it into a Flatout Foldit wrap, to keep the calories down. For other meals, I built a bowl with quinoa, cabbage, and spinach. I even made it into a salad. This dish is very versatile, and I bet it would even make a mean taco. Get creative! For my friends on Weight Watchers, this recipe is clocking in as ZERO points for 1 serving, and TWO points for the entire recipe. Note: I don’t claim to be a WW expert, so please double check any of my calculations as needed. 1. 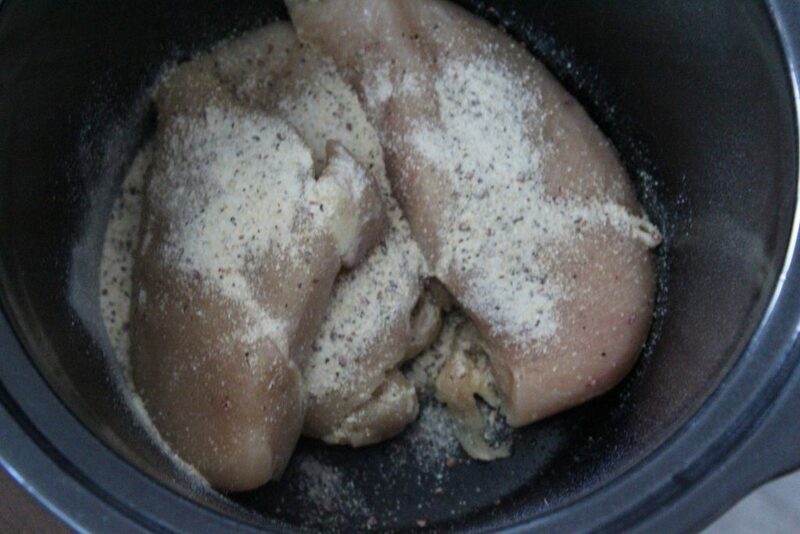 Spray your crockpot with cooking spray and add your chicken. 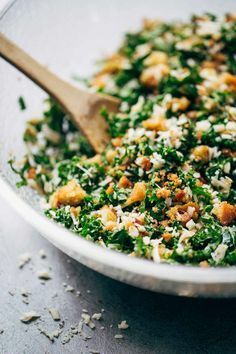 Sprinkle with Italian dressing mix. 2. 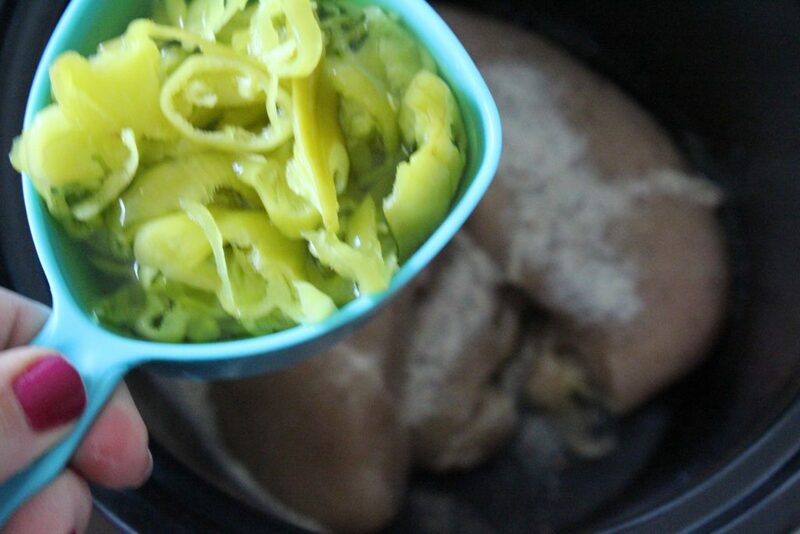 Add 1/2 bottle of pepperoncini peppers to the slow cooker (about 1 cup). Cover and cook for 8 hours on low, 4 hours on high. 3. Shred chicken using two forks or your hand mixer. 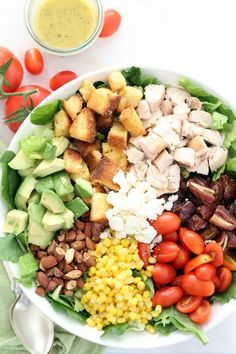 Serve as a sandwich, salad, veggie bowl, or any other way you’d like!